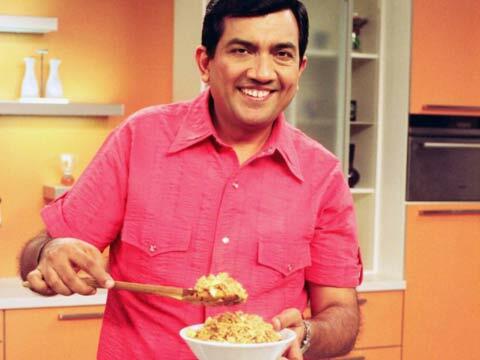 Indiaâ€™s wonderchef, Sanjeev Kapoor, recently launched his own lifestyle houseware brand. On the occasion, he spoke to Restaurant India over brand licensing, category expansion, promotion and marketing strategies and much more. What inspired India’s wonderchef to launch lifestyle houseware products? In lifestyle houseware products, people’s engagement is very high, but still they don’t think of it much because it is not been showcased. Earlier, people used to be worried about things showcased outside. When our economy starts to do well, people’s internal needs are as important as the external needs. The need to satisfy themselves is equally high. Once we started understanding that the home category is growing then we started building the brand and expertise. Also, cooking is our core but our major interface is in home, so we decided to focus upon houseware products. What is the product range and its features? Our product range includes mittens, pot holders, kitchen aprons, place mats, kitchen towels, napkins and table runners. These mid-premium quality products are need sensitive and not price sensitive. These products are crafted in 18/10 stainless steel, which is food grade, hence, safe for usage. It has classic and contemporary styles that will complement any dinnerware pattern. The product range varies from modern contemporary patterns to plain and elegant styles, which makes it classic and timeless. Also, there is an exclusive high-end premium range of cutlery available under the SK Signature Brand, which is crafted with silver-plating and gold-plating. What are your plans of promoting the brand? In association with retail licensing with Tangerine, the designer brand in Home Solutions and part of the Indian Home Variations, initially we are reaching to 200 point of purchase and over a period of time, we are planning to reach 1,500 to 2,000 POPs. With the expansion of categories, these products will also be available in modern retail outlets. Further, we are focusing on tableware cutlery products and few new innovative products. These categories will be like the combination of bread and butter and jam. When you are new in the market, you have to focus on sustainability of the business and the values so the new categories will be a mix of both. Therefore, some products will be predictable and some would be the cutting edge. What is the current FMCG trend that is driving food and retail business? Food business is of two types, one is in-house and the second is out of the house. Big value is coming from in house, and the excitement is in out of home consumption. Out of home consumption is value added and in house consumption is less value added. The cost of conversion is less in in-house consumption but the volume is high and in out of home food, volume is less but the conversion ratio is much higher. A cup of tea costs Rs 2 in-house and the same tea costs Rs 10 at dhabawala. Because people are looking at consumption out of home more, the excitement is more and this emotion (need) is driving food in the FMCG category. What is your investment in this venture? And what will be the ROI? I have invested around Rs five crore and targeting to have Rs 100 crore sale by the end of 2016. We are building through a licensing model so we have definitely kept an outlay. But we are working on our strengths of the brand to do smart alliances, smart associations and keep our cost low. We have a following of 30 lakh people on Facebook while connecting with 70 odd restaurants. In marketing, we are not keeping aside any major outlay. We will have TV presence through our programmes like Wonderchef. Is Technology Replacing Conventional Teaching..
We launch 3-4 new products every year- Sri Roda Fo..